When all is said and done on Steven Spielberg's career, you rather think that this current period, starting with 2008's Indiana Jones And The Kingdom Of The Crystal Skull, will be looked back upon with a level of antipathy. Yes, you can find good things to say about many of the films in this period. But you do have to find them. There hasn't quite been a Woody Allen swing from the 'early funny ones', but there has been a marked change in the magic Spielberg deals in. The best Spielberg film of the last ten years, Super 8, wasn't directed by him and even less showy films like Jeff Nichols' Mud seem to capture the family tensions Spielberg used to deal in better than he has done recently. Consider this too: if we're some way away from seeing something like E.T., then we're so far from a return to the heightened familial tensions of Jaws, Close Encounters or Schindler's List that you suspect we may never see their like again. Into that situation comes Bridge Of Spies, which is an interesting film in many ways, but is once again a film in which you have to look - really look, sometimes - for Spielberg's touch; not light, but effective. The topic, first of all, hardly feels zeitgeist, but nonetheless it's good to see the director in pursuit of something that's not child-centric, or obviously family pitched. James Donovan (Tom Hanks), a US lawyer, is sucked into cold war intrigue when he is asked to defend a Soviet spy and then to facilitate a spy swap; the traitor, Rudolf Abel (Mark Rylance) for US pilot Gary Powers (Austin Stowell), currently being held in Russia. Spielberg finds a lot of connection to his repeated motif of locating everything within a family by developing Donovan not as the sort of mystical man at the bar who performs linguistic feats of client preservation, but as a home-focused father, with wife and kids now in the firing line. The case and the family are linked not only through Donovan but (in a bit of scripting perhaps not entirely reliant on historical accuracy) through a brewing relationship between Donovan's young assistant and his daughter; a Spielberg-esque addition, or refocusing effort, if ever there was one. 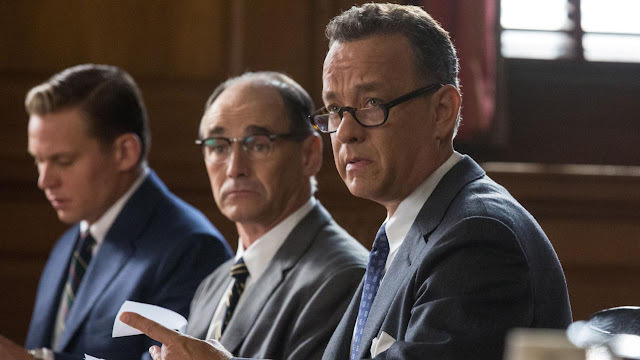 If Bridge Of Spies does reside in Spielberg's familial - and familiar - interests, then it also lies in a less attractive repeated motif of recent years that is less mentioned and less celebrated. Spielberg has become, willingly or unwillingly, a champion purveyor of the patriotic picture. This has been happening for quite some time. Often the films are good enough to hide it (War Of The Worlds), but increasingly the director's ''Murica!' championing comes to the fore. Lincoln was a film full of it and the politics of Indiana Jones And The Kingdom Of The Crystal Skull would be worth examining if only the film warranted it. Bridge Of Spies allows Spielberg and anyone else so inclined to spend a couple of hours shaking their fists and exclaiming 'damned Ruskies'. Sure, there are efforts made to paint superiors on both sides as the problem. In Rylance's hands, for example, Abel is extremely humanised, if still held sway to the fates of the film (as his repeated line of 'would it help?' so adroitly highlights). But that is pretty much it as far as attempts to usurp the nationalist status quo goes. This is another film by Spielberg (and look, he isn't the only one), where the US broadly gets to be not only the good guy, but the great guy. The director's conflicts have never been as clear cut as here, odd given that, after all, he has a plot which is meant to muddy the waters by placing an American lawyer in defence of a Russian spy. As in Lincoln Spielberg's change appears to be a movement to a system of grandstanding, from his formative residence in spectacle. Bridge Of Spies was streaming on Blinkbox. By Sam Turner. 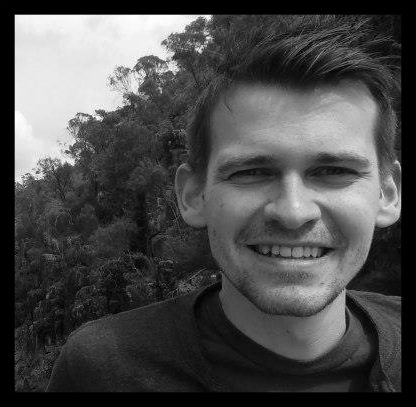 Sam is editor of Film Intel, and can usually be found behind a keyboard with a cup of tea. He likes entertaining films and dislikes the other kind. He's on Google+, Twitter and several places even he doesn't yet know about.